During the first two weeks of February 2015, I ran a Dementia Friends Information Session for the 1st Llantwit Major Cubs and Scouts, creating 22 new Dementia Friends. A Dementia Friend is someone who has learnt about dementia and committed to an action that will make the lives of people living with dementia a little better. Every action counts – spreading the word about dementia, spending time with a friend or family member who has dementia, or recommending becoming a Dementia Friend to others. Dementia Friends is an Alzheimer’s Society led initiative which aims to increase dementia awareness and change the way the nation thinks, talks and acts about dementia. Over one million people in the UK have become Dementia Friends in the first two years of the initiative and there is now a new target of creating four million Dementia Friends by 2020. I became a Dementia Friend Champion in May 2014. A Dementia Friend Champion is a volunteer who has been trained to deliver Dementia Friends Sessions. I became a parent volunteer for the 1st Llantwit Major Scout Group in June 2014. I was delighted to be able to deliver Dementia Friends Sessions to the Llantwit Major Cubs and Scouts and I was equally impressed by their knowledge, understanding and sensitivity towards such a difficult, emotional and ‘grown up’ topic. They all thought about what they as individuals could do to be more dementia-friendly and they were keen to spread the word at school too. 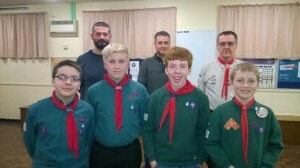 The Dementia Friends Sessions for the 1st Llantwit Major Scout Group took place in February 2015. There are Sessions taking place all over the UK, delivered by volunteer Dementia Friend Champions like myself. You can find a Session near you here. 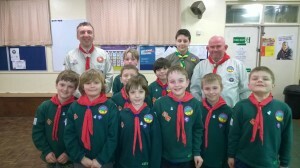 I have recently run Dementia Sessions for the 1st Larkfield Cubs Group in Kent (aged 8 – 10 year olds) – it went fantastically and their actions were among some of the best I have seen! Was a fantastic experience for me too and has inspired me to run more children’s sessions in the future.